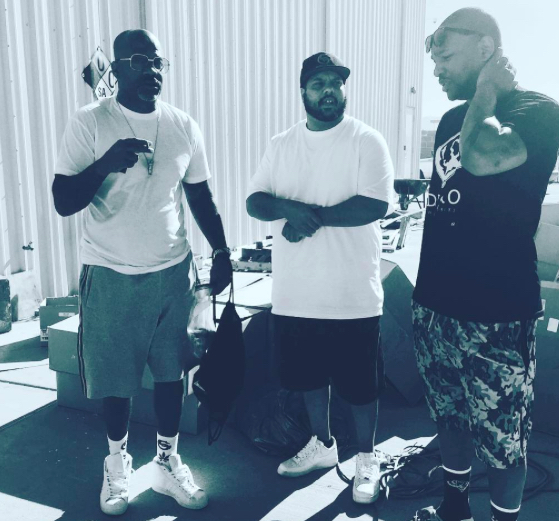 Nation’s Leading Black Entrepreneurs Conference Is Moving Forward In 2019! 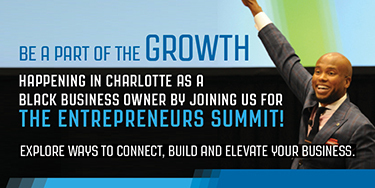 BLACK ENTERPRISE will return to Charlotte, North Carolina, with FWD—the revamped, re-branded Entrepreneurs Summit. 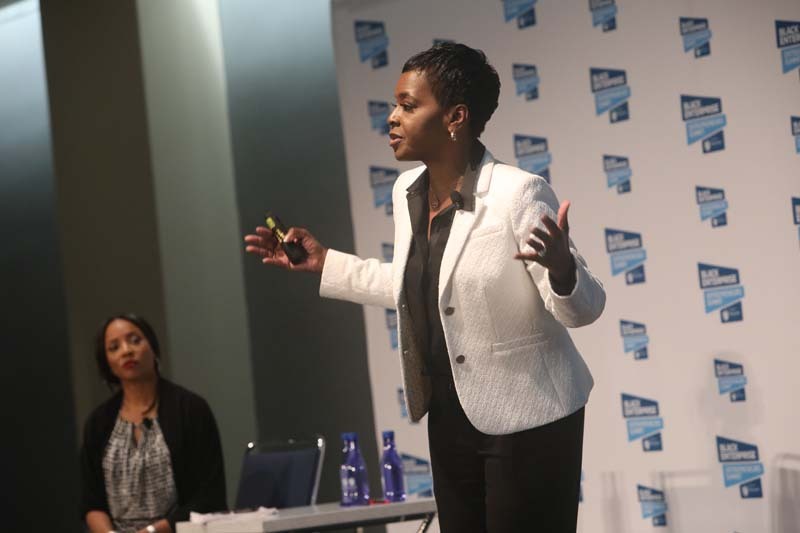 The premiere black entrepreneurs conference hosted by Nationwide will be held on Wednesday, June 19 through Saturday, June 22, 2019, at the Charlotte Convention Center. 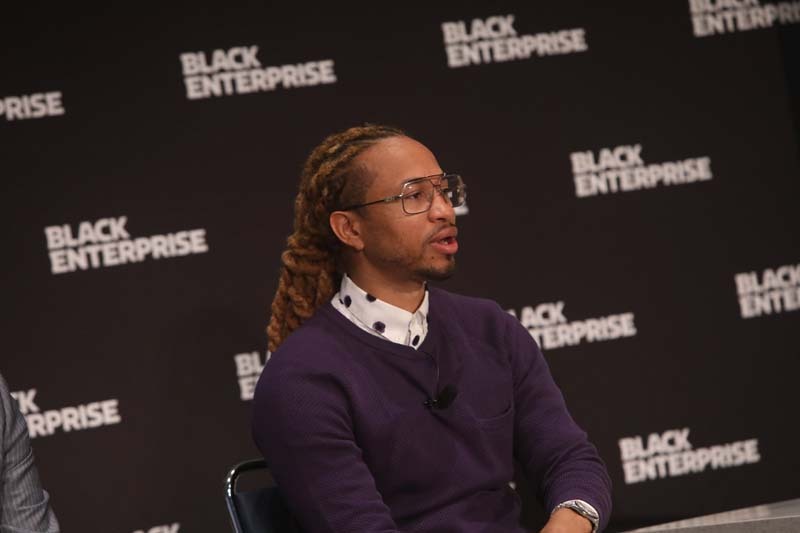 In its 24th year, the four-day conference will bring together more than 1,200 of the nation’s leading entrepreneurs, innovators, creators, and founders of color with a special focus on tech-driven innovation, and separate tracks for established firms and startups, respectively. 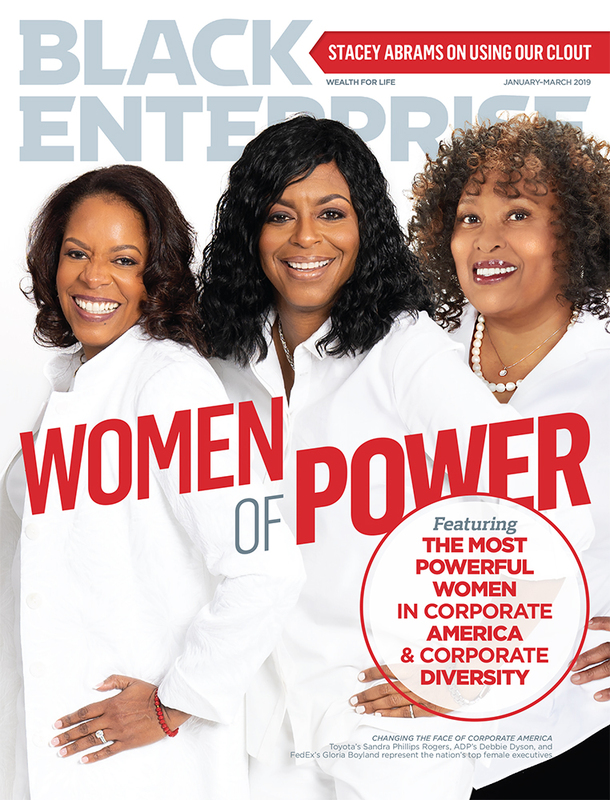 “FWD: Business on Your Own Terms,” will provide the array of diverse entrepreneurs in attendance with networking, partnership, financing, and other business-building opportunities. 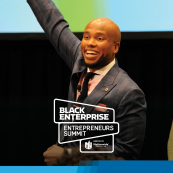 Over the course of 23 years, the Black Enterprise Entrepreneurs Summit has earned the reputation as the premier conference for black business owners, and FWD builds on that foundation, which is tailored to the needs of creators, innovators, hustlers, and next-generation entrepreneurs. 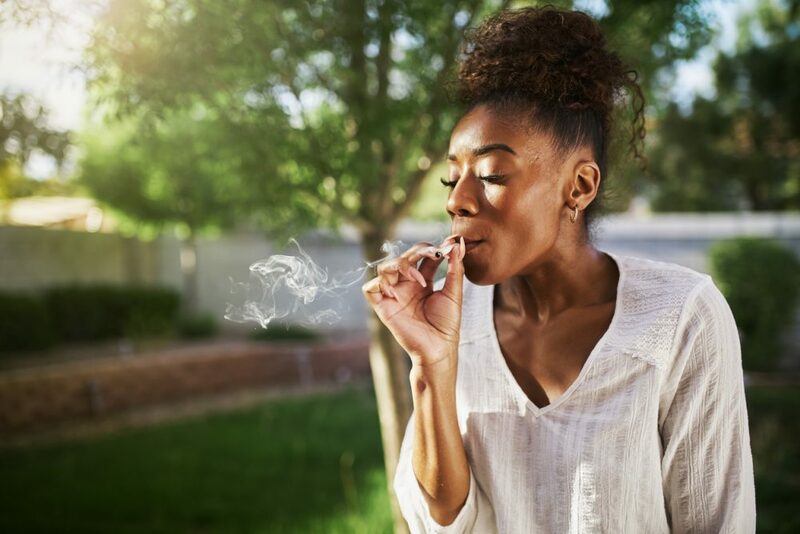 We recognize the need for founders at all stages of business development to connect, learn, gain inspiration, and most importantly—receive access to the necessary tools and resources for success. 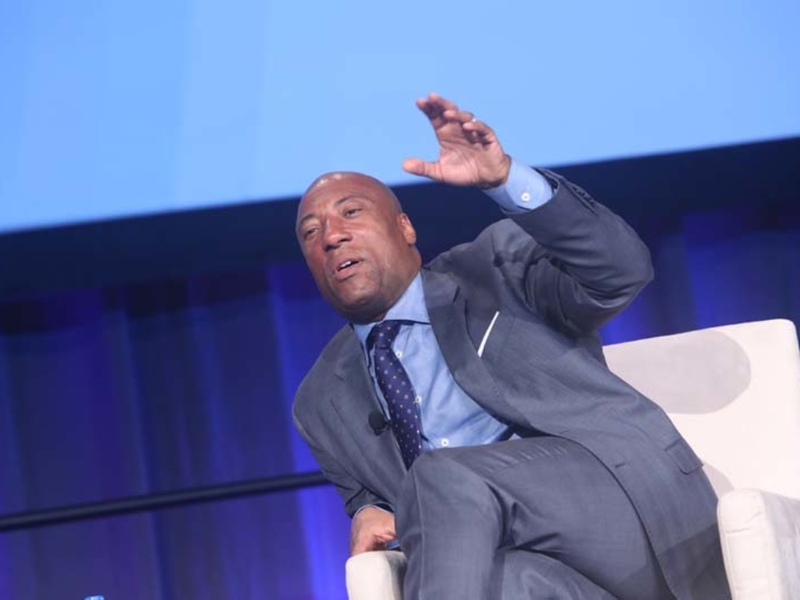 Byron Allen at last year’s Entrepreneurs Summit, now “FWD” conference. 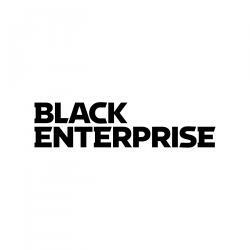 Black Enterprise President and CEO Earl “Butch” Graves Jr. will officially announce the rebranding and our return to Charlotte, at the press conference scheduled for Feb. 18, 2019. 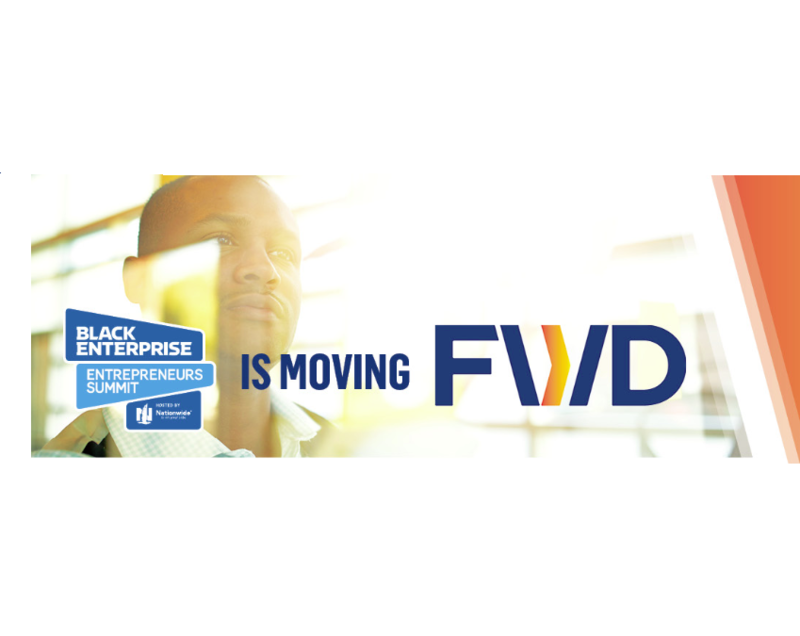 The Charlotte business community is critical to job creation and innovation, which is why FWD seeks to drive the growth of black entrepreneurship and economic development in Charlotte, and nationwide. 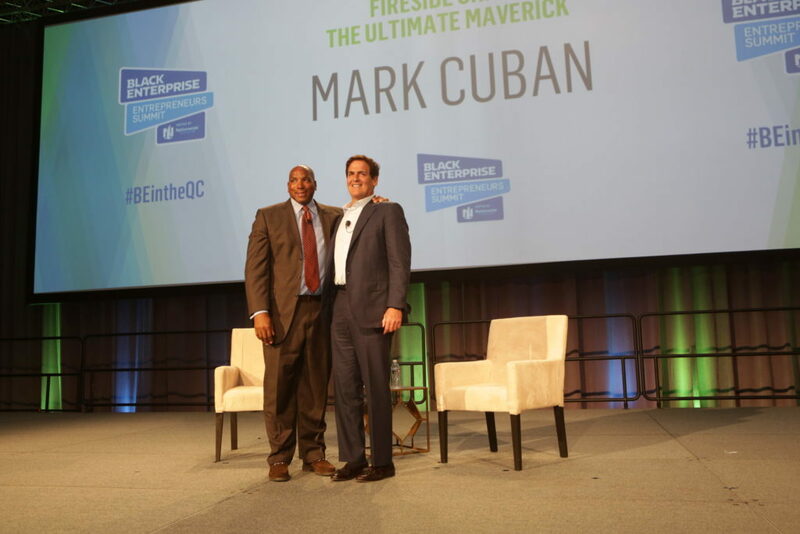 The 2018 Summit welcomed a record number of over 1,200 attendees to the Queen City with headline speakers Mark Cuban, Tip “T.I.” Harris, Janice Bryant Howroyd, Bryon Allen, and many more. The Summit also attracted over 200 million impressions via livestream, social media, and press. 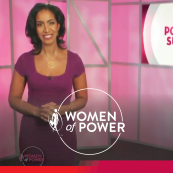 Leave each session with a FWD Plan – Your next steps and to-do’s to get your business on track now. Attendee-driven content – Short, pre-event polls and live Q&As will allow our speakers to structure the conversation to provide the information you came for. 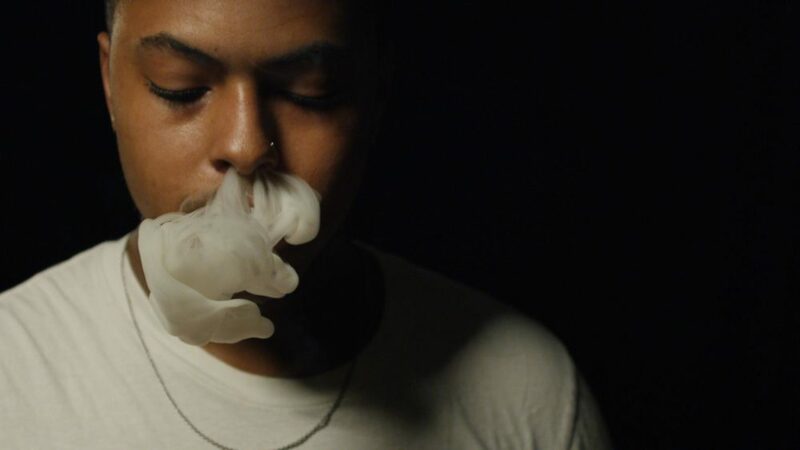 And it all happens in our app! An a la carte experience – Enjoy flexible programming, opportunities to network, downtime, or time to put in work. Greater tech integration – Simply put, if you’re doing business without technology, you’re doing it wrong. Huddle in the Hub – the BizHub will be the center of everything! Sessions, networking pods, workshops, coaching, sponsor activations, small businesses making coin; it all happens here! Make yourself comfortable – Show up as your best self in whatever makes you feel most like the boss you are. 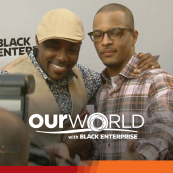 Millennial entrepreneurs such as Spectacular Smith came out to represent at last year’s conference. 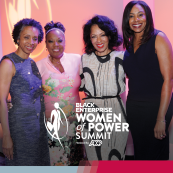 Sessions, workshops, and speakers specifically for black women entrepreneurs. 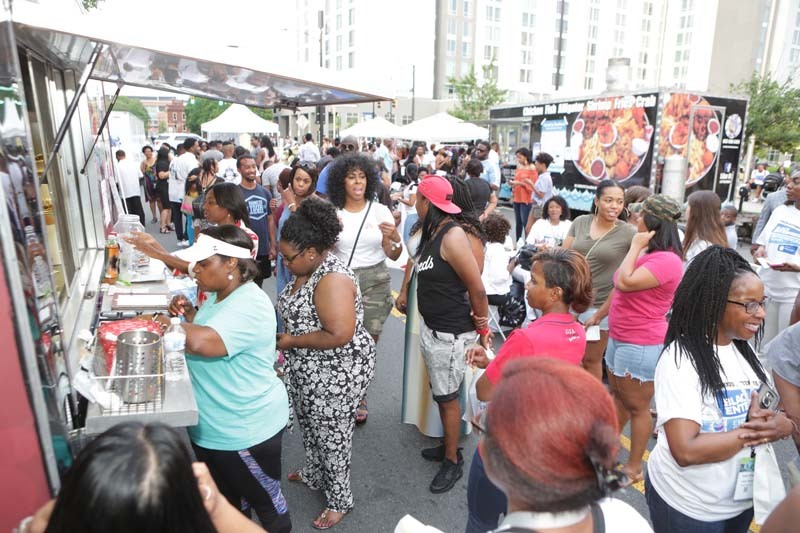 Enjoying fare from local, black, food trucks at last year’s conference. FWD is hosted by Nationwide. For updates, search the #BEintheQC hashtag on Twitter. 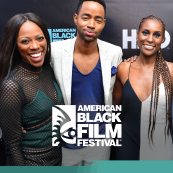 -EDITOR’S NOTE: Interested press should contact Johann Alleyne-Morris at 212-886-9598 or via e-mail at morrisj@blackenterprise.com.